I teach *and* work for the state! Hey nice piece in the TIMES!!!! Very exciting. Have a great trip-- and don't run over any chickens! Peter, I hope you have a great vacation. Just one comment about the arrest of the Prof. Gates. Would this case have as much coverage that it is getting if it happened in Baltimore, Brooklyn, even in Long Island? You and I both know the answer is NO. Enough already! I guess they both wanted to show each other up. Ahh, another academic who thinks that because he donned a Police uniform for a unbelievably brief time that he now knows what it is like to actually BE a Cop. How pathetic is someone who deliberately searches out Police Depts solely so he can pursue his Doctorate and run away to the cloistered halls of academia? First, Prof. Moskos, you erred greatly in your premature condemnation of Sgt Crowley (who is a REAL Cop, unlike what you were). Secondly, your meager 14 or 15 months on the street in Baltimore is paltry, yet you act as if this fleeting time equals decades of experience. And lastly, do all of us a favor, stay indoors and teach the next generation of Cop-hating, drug-legalizing advocates and leftist liberals and leave the real Police work to real Cops and professional. A Doctorate in Sociology cannot even compare to the experience of a 20 year veteran Cop; so just please shut your mouth. (From a retired NYPD Detective-20 yrs, with 2 law degrees). Anonymous, what can I say? Whatever, dude. Ask some of your colleagues in the NYPD, because I've taught a fair number of them. They tend to like me. Why? Ask them. 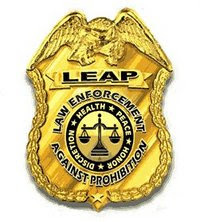 I am left-leaning and do want to regulate drugs (and so do a lot of other cops, see www.LEAP.cc). But I'm not anti-cop. I kind of take offense at that. I'm sure Sgt Crowley is a good man and a very good police officer. But I think it was dumb of him to arrest Professor Gates. Too bad I'm not good at shutting my mouth. 10-8, that is indeed an excellent commentary by Maria Haberfeld, who happens to be my colleague and friend. I forwarded your comment to her. Wow, I think I'm in love with Maria Haberfeld. 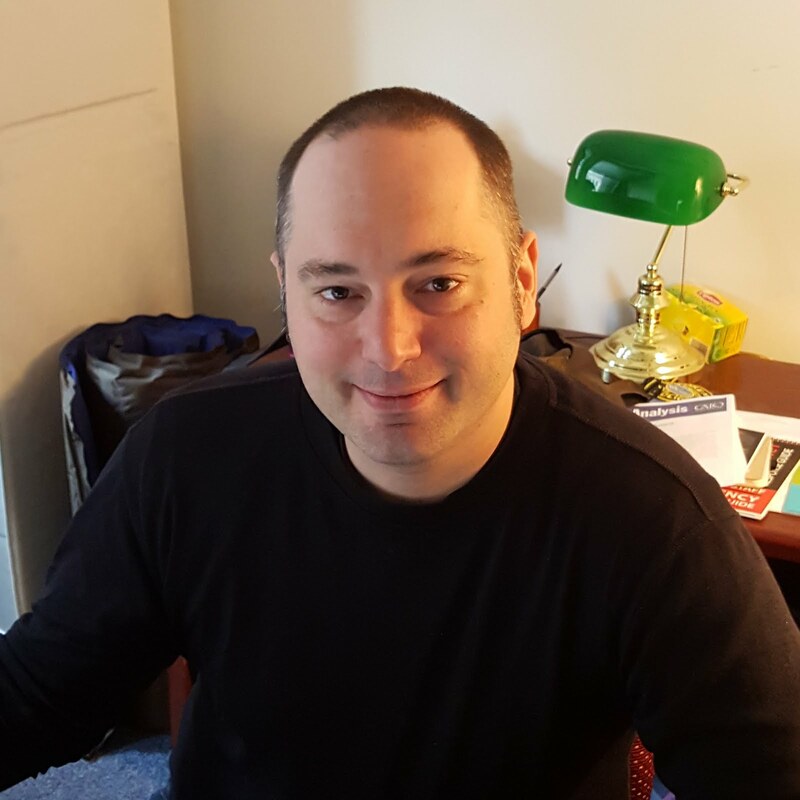 Mr. Moskos, like many authors, is not reticent when it comes to his self-promotion; I commented as much the other day. That, however, doesn't mean he isn't the real thing nor that he doesn't know his stuff. He put his life on the line day after day in one of the toughest precincts in this country. Yes, it wasn't the longest career in the history of policing. But a year-plus in a precinct around the corner from the seventh circle of hell is nothing to sneeze at either. It's not just the number of years that an officer puts in; it's the quality of that time, too. There's an old expression that policing is the only profession where folks who have never done the job are experts on how to do the job. That would not apply to Mr. Moskos, however. I have never met Mr. Moskos, but I have had conversations with several veteran Baltimore officers who served with him. They have nothing but the highest praise for his policing skills. Of course you think it was “dumb” of him to arrest Dr. Gates, because you’re not a Cop and you never were one. Being a Police Officer is a vocation, it’s not a job where you punch a time card and go home and forget about it. The Job permeates you until it seeps into the marrow of your bones. It’s not a job you do for 2 years and move on like waiting tables or washing cars. It’s a dedication of one’s life to the ideals of justice and law enforcement. No wonder you agree with our Commander-in-Chief about this incident, because he’s totally wrong about this incident also. Let me quickly run through a few things so you can possibly understand how us Cops perceive certain situations that could potentially be fatal to us. Oh yeah, that’s really not an issue to you and your ilk, is it - the safety and well-being of the people who risk their lives every single day, for decades during a career (not a bogus stint of 18 months)? A 911 call is placed by a witness to a possible felony in progress with 2 possible perps. Upon arriving to the scene, Crowley encounters the person who placed the 911 call. So now we no longer have an unsubstantiated, anonymous call, but an actual verifiable complainant/witness to a possible felony. When Crowley approaches the scene of the incident, ALONE, he observes an individual who fits the description given by the 911 caller. When Crowley demands to see ID from the UNIDENTIFIED person he is met with hostility, belligerence and subjected to denigrating comments about his mother. Initially, the person refuses to produce ID, but then gives ID which still does not establish that the house is his residence (Harvard Prof ID), so Crowley calls for assistance from Harvard Univ Police to verify the ID of the individual. At this point you would expect a learned scholar like Dr Gates to be calm and civil toward the Officers who are responding to a call of a felony being committed in his neighborhood, to wit, his home. I would never expect him to be polite or deferential, since he obviously is an angry man who defines his very existence by being Black; before being an American, a son, a spouse or father. But yet, he continues his racist drivel and verbal attack on an Officer who is simply performing his duty. Now I wouldn’t expect you to understand what it’s like to be in a potentially hostile environment, where countless other Officers have been killed, and encounter someone who absolutely refuses to comply with the simplest of commands or directives. It’s truly disheartening when the people that you would willingly forfeit your life for are disrespectful, ungrateful and uncooperative to the point where it is impossible to perform your functions as a law enforcement Officer. But alas, I was raised in a household of law enforcement and military personnel who taught me to respect and obey uniformed Officers when they are engaged in the performance of their duties. I also give the benefit of the doubt to my brethren in situations in which I am not present, as opposed to a civilian who has a chip on his shoulder, and who is the darling of the main stream media and academia. Not once have I heard any of you express concern for Sgt Crowley’s safety or the inherent danger that he faced in confronting an unidentified person pursuant to a call for a felony in progress; probably because you couldn’t care less about an Officer’s safety. Oh, and before I commented on your blog I performed my due diligence by contacting several people who have sat in on your classes, as well as some of your co-workers at John Jay. Trust me, I was not impressed by what I heard, and I fear that you greatly overestimate your popularity and relevance. Anon, dial back the bleed blue harangue. I agree with Jag. Go over to Officer.com and you'll see some cops who agree with PCM. True, more don't but he's not alone. I've read most of this blog over the past few days since I discovered it. Saying PCM doesn't care about officer safety is just not true. I've seeped the marrow of my bones (!) for 30+ years, more than you NYPD but I've learned some things from reading PCM. I think you can too. Jeff I don't agree with "enough already". I think there are lots of teaching points about this like Pres. Obama says. I'm glad to see some news stories popping up about how this controversy shows policing is harder than many people realize. To a member of the public it's just an angry homeowner but an officer responding to a call isn't a mind reader so he/she has to assume the worst. When someone starts screaming at you for no clear reason, that sets off warning bells. I think the Gates incident shows law enforcement is harder work than ordinary people realize even if this seems like a small matter. I agree with the other LEO's that trashing somebody for a year on the force is dirty pool. I've been sworn a little over a year and am on patrol in Compton. If somebody told me I wasn't a cop I'd invite them to ride along on my shift and tell me I had it easy. From what I know about East Baltimore it's even worse than where I am. I have the utmost respect for police and am very quick to give men in uniform the benefit of the doubt. That doesn't mean police don't make mistakes. That doesn't mean they don't do things that would be best be done otherwise. If you think that any criticism or discussion or deviation from the police party line is off limits, than what I have to say simply isn't for you. If you like thinking, then read on. Anonymous, I too think you're off base. You clearly don't know me and haven't taken the time to learn anything of my beliefs or opinions. I figure if some cops criticize me for being anti-police and some non-cops criticize me for being a police cheerleader, I must be doing something right. But when officers criticize me for my brief time as a police officer, I wonder, like JVN, if they would have said that to my face when I was on the job. And though my time was brief, I saw too many friends injured and killed. To say I wasn't a cop strikes me as similar to a retired military officer telling a soldier that he doesn't know anything about the army because he "only" served two tours in Iraq. I never rose to the rank of general, but I did my grunt work.